We talk a lot of fashion around here, but you know what? No outfit is complete without a beautiful ‘do. After the handle on my last brush broke off mid-blow dry, I vowed from that day forth to always purchase quality brushes. 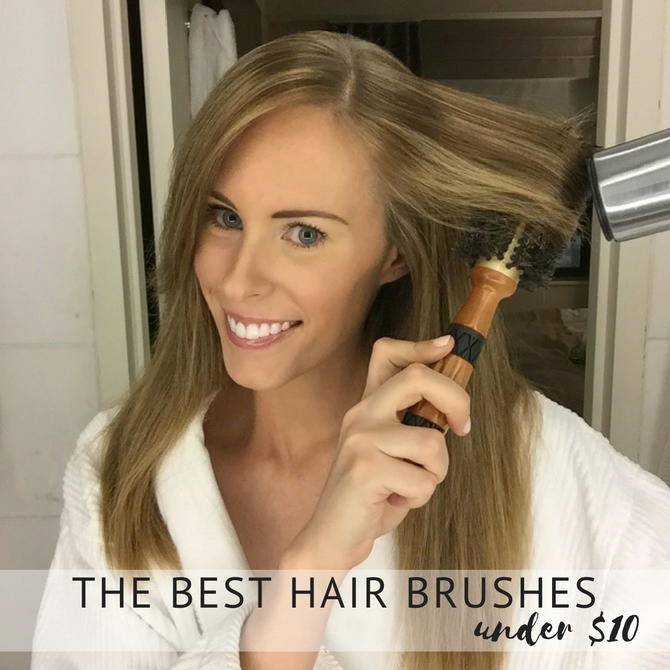 SO my search for the best hair brushes under $10 began… I visited the “latest” and “greatest” brushes everywhere from Sephora to Nordstrom… however, the thing is, I don’t really want to spend $50 plus on a brush. Right or wrong, I’d rather buy a cute top or a new lipstick instead. I’d never used a proper comb or brush after washing my hair (I know you’re supposed to) and when I found The Wet Brush I wanted to try it. Gals, it is honestly the BEST! I can’t even think about brushing my wet hair with anything else, it makes a huge huge HUGE difference. I also use it when I curl my hair as it’s gentle and doesn’t pull my curl style out, plus before my hair got long and I use to use clip-in extensions, it was great for gently brushing them. Can you believe it’s only $8.99? You can find The Wet Brush here. Ahh now it’s time for the everyday staple of the group. 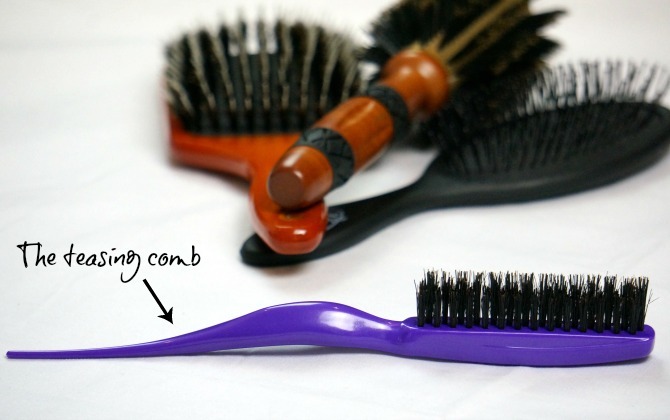 If you’ve never used a paddle brush, girl, you’re missing out! I upgraded to this Ion Golden Wood Paddle Brush and it’s fabulous! I chose this as it has boar bristles for adding smoothness and shine, plus the ionic bristles help to condition hair. I also love that it’s all one piece of wood and you can instantly tell this brush is great quality. It’s just $9.99 and you can get the Ion Golden Wood Paddle Brush here. Want the ultimate blow dry? You need the ultimate brush of course! After the handle fell off my old round brush mid-blow dry, I vowed to always buy quality and get a fantastic new round brush – and after much searching, I found it! 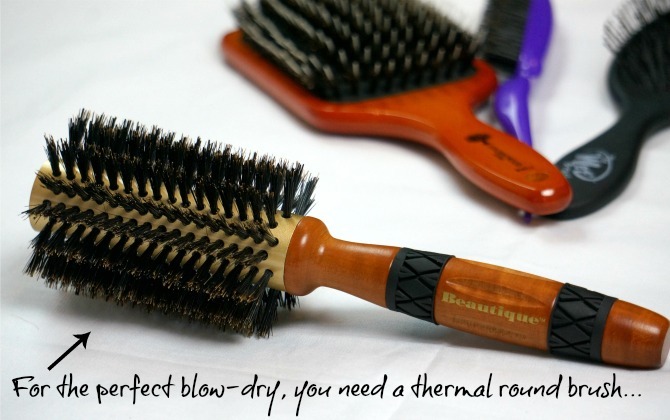 This Beautique Tahiti Wood Thermal Round Brush is absolutely brilliant. Featuring boar bristles for smooth and shiny hair, it’s thermal properties mean hair is quicker to dry. It’s currently on sale for just $6.99 (so you can now have a salon beautiful blow dry every day), get the Beautique Tahiti Wood Thermal Round Brush here. After deciding I needed a little va-va-voom and volume injection in my hair, I recently become re-acquainted with the teasing comb. The Amped Up Tease Brush is wonderful! Featuring boar bristles for smoothness and shine, it also has a special bristle pattern and texture to reduce damage, breakage and frizz. Oh and I love the sectioning tip at the end, it comes in very handy for styling and also putting in extensions. You can get the Amped Up Tease Brush here for just $4.29. Tell me girls, do you currently have a selection of brushes in your repertoire? What’s your holy-grail brush? These are great picks! 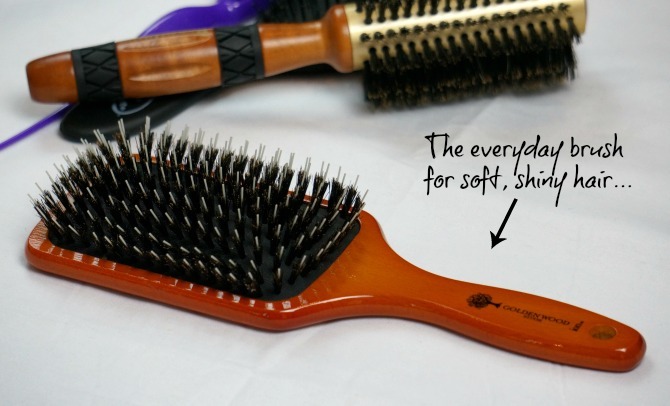 A good hairbrush is totally a necessity. Thanks for the roundup! 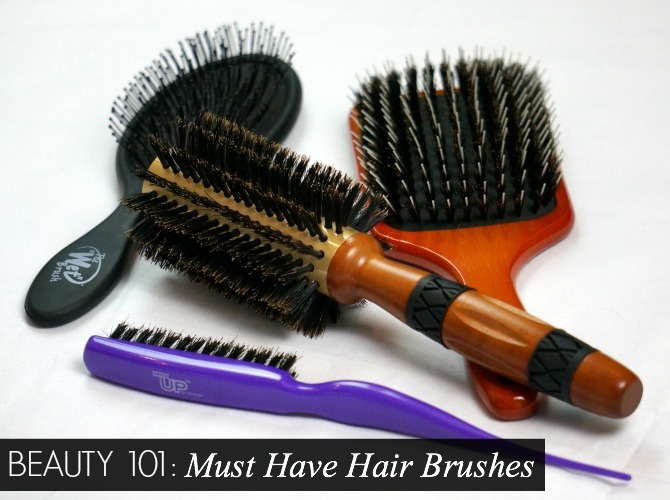 I really need to buy some more hair brushes – I’ve been using the same two for years! I definitely need a round bristle brush. this was a great post, and spot on! 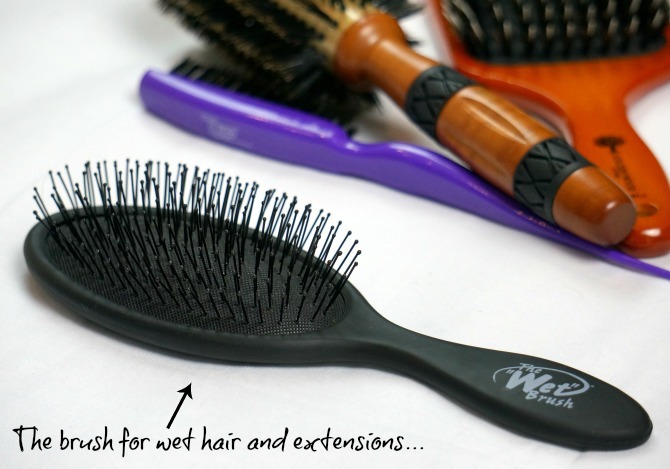 I just typically use my round brush for blow outs, but we are die-hard fans of the wet brush in my house! And I have a cheerleader now so we have the teasing brush too…must have big pony tails! Have a great weekend.